Are Your 6-9 year-olds Ready To Be Famous? Hillcrest Mall, North of Toronto, is Looking For Models! 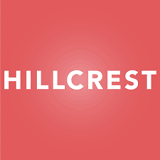 Hillcrest Mall (at Yonge and 16th Avenue just north of Toronto) is conducting a private search for one or two fashionable and outgoing boys and girls between the ages of 6 and 9 to star in its Back-to-School social media campaign set for release in mid-August. If you know any style-savvy children who would be suitable for this, Hillcrest would love to meet them. The Gig: The selected child(ren) would star in their own 30-second videos (2 per child) where they would talk about their Back-to-School clothing trends. It would require one day of shooting. The Kid: The ideal candidate will be comfortable talking on camera (ad-lib or answering questions from director) and can speak about fashion trends and Back-to-School shopping. The Reward: Participants will receive a $500 Hillcrest Gift Card (and your child would be famous!). Bonus Round: If the candidate(s) have a fashionable parent, we would love to have them appear in the video with their child. Send any photos and/or video of the potential candidates with a brief description (name, age, special talents) to Heidi Ruggier at hruggier@budmanpr.com. Hillcrest Mall’s marketing director, Rashmi Aimiuwu, will review the entries and invite selected candidates in for a screen test (date and locations are TBD). I’m not sure of the closing date, so make sure to act fast! Update: As of June 10th, I can confirm that the event is closed! Best of luck to everyone who entered!